Few places on earth offer better conditions for water sports than the Outer Banks of North Carolina! We're renowned for consistent winds, a temperate climate, and an abundance of water. The barrier islands of the Outer Banks are bordered by the vast Atlantic to the east and shallow waters of the sound to the west. 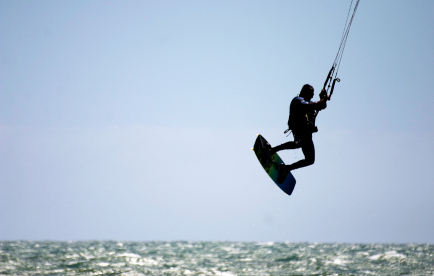 Explore canals by kayak, catch the perfect wave on a glassy day, or experience the rush of kiteboarding - water sports adventures on the Outer Banks are practically unlimited. Experienced water sports enthusiasts can perfect their skills in the ocean or sound, while beginners can take lessons and get hooked on a new sport. Professional instructors are available to safely introduce vacationers to a wide variety of water sports. 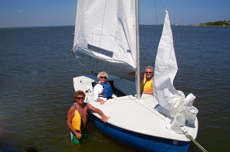 Lessons and rentals are easily found in every town and village on the Outer Banks. Many instructors over beginner, intermediate, and advanced water sports lessons. Some of the most popular water sports on the OBX include surfing, kiteboarding, windsurfing, diving, parasailing, kayaking, canoeing, paddleboarding and jet skiing. You can also find local businesses that specialize in eco-friendly water adventures. Unrivaled wind and water conditions make the Outer Banks one of the best locations in the world for kiteboarding and windsurfing. Learn about Hatteras Island's hot spots and find out about lessons and rentals. The Outer Banks are the undisputed king of east coast surfing. Good breaks can be found in every town and village on the coast. 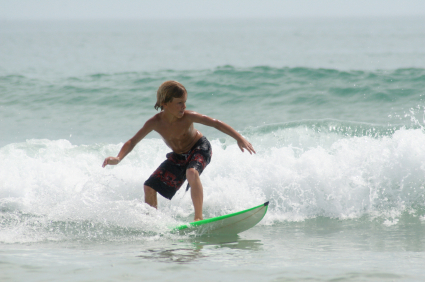 Learn more about OBX surf conditions, surf shops, and surf lessons, and board rentals. Don't forget about kayaking, canoeing, parasailing, and other OBX water sports. Water adventures are available up and down the coast. Check out our list of water sports lessons and rentals.